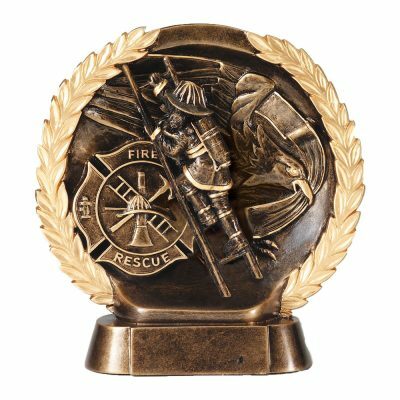 Recognize the firemen who serve the community with this highly detailed gold highlighted bronze finish sculptured firefighter trophy mounted on a matching resin base. Includes a gold engraved metal plate. Trophy entirely crafted from heavy weight resin composite material and stands 7.5” tall. Perfect for firemen recognition awards.